Wholesale set of six (6) of our New Thin Red Line Silicone Ring Size 11. Bulk packaging on sets of 6 of our rings. Our high quality silicone rings are built for your active lifestyle. If you work hard and play hard this is the ring for you! 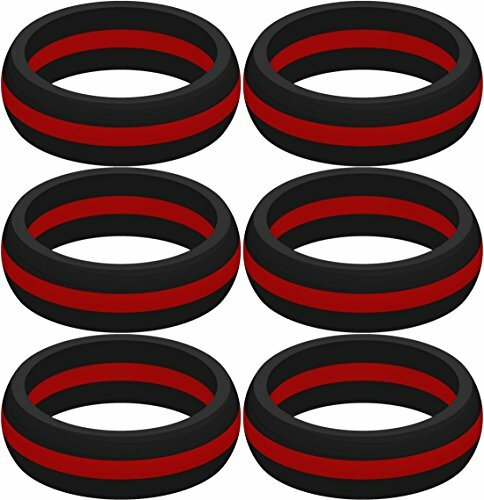 Set of six of Thin red line ring - show support for Fire Departments!